Well I finished it!! 5 days later than the intended holiday but completed just the same. Now it will be available for future celebrations. 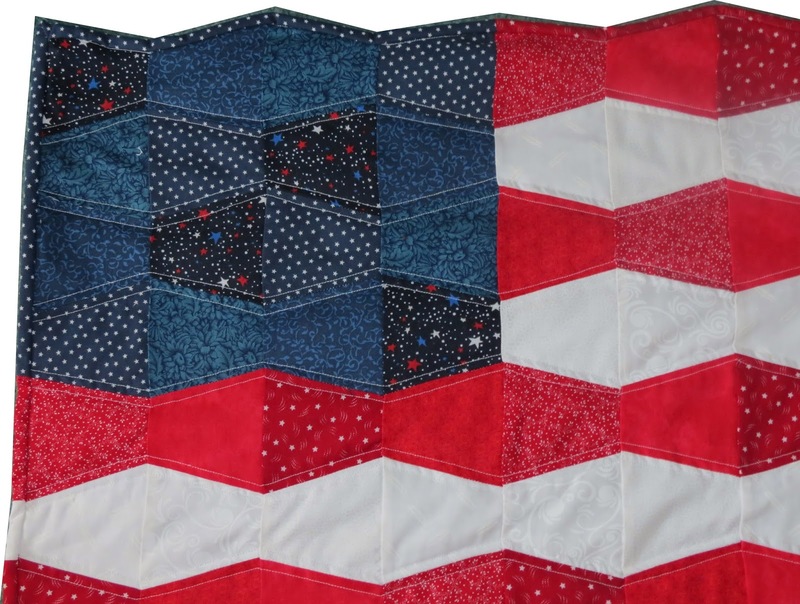 I opted to piece my binding to match the changing colors on the tumbler American Flag. I am very happy with how it turned out. There are a lot of seams on the binding since I used leftover tumbler blocks for the red/white stripe ends. Also, here's a close up for some of the changing colors. 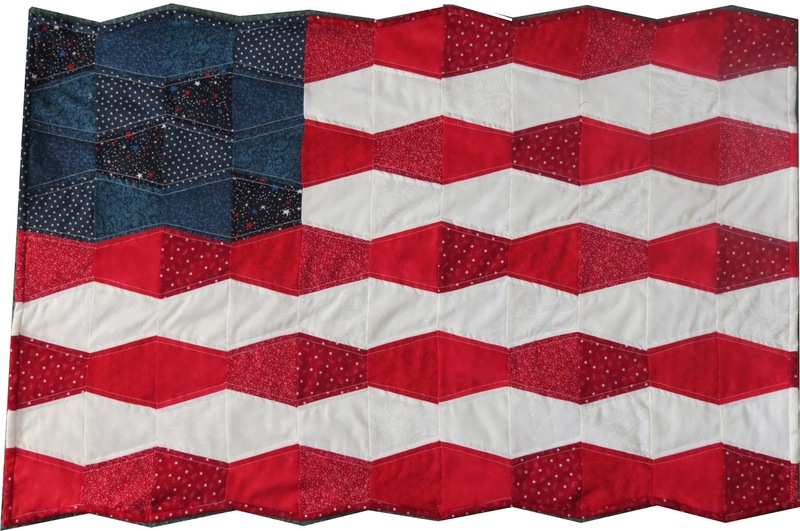 Flag is Finished - Almost - Happy 4th of July!